Come and join us for 3 days of exhilarating mountain biking adventure in the heart of mountain biking country in the Western Cape, South Africa. 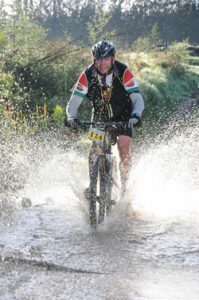 We have had picked some of the best MTB trails in the area and combined them into an action packed trip. Accommodation for the 2 nights is in an up market guest lodge in Greyton. All breakfasts and lunches are included in the cost of the trip and are provided by the guest lodge and local restaurants. You will be collected from your hotel in our mini-bus which has a bike trailer and luggage compartment. This will be the transport for the tour and will take our riders to the various MTB trails and to the village of Greyton, where we will be based. Greyton, which was established in 1854, owes much of its charm to the fact that its Cape Vernacular architectural heritage has remained largely intact. It is an extremely popular weekend and holiday destination for visitors who enjoy its combination of old-world charm and modern conveniences. It has wonderful restaurants and little shops. The Saturday village market is a highlight, as well as the many hiking trails. Horse riding is a popular activity. There will also be a chance to sample some of the world renown local wines and the tour will include a stop at a couple of the wine farms on route. The trails all include loads of single track and are for the intermediate to experienced riders. We will be doing the Oak Valley 32 km black route, the Lebanon 23 km red route, the Greyton 38 km red and 18 km green routes and then the Paul Cluver 44 km black route. 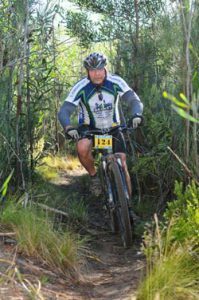 You will not be disappointed by these incredible mountain bike trails that are well prepared and maintained by local enthusiasts. 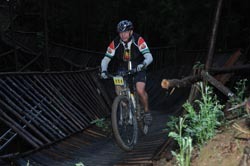 Please expect the three days of cycling to be fairly tough, and we will encounter all sorts of terrain including man made bridges, wooden styles over fences, lots of single track and some challenging climbs. Cyclists will need to have a good level of fitness so that we do not hold back others, as we will be cycling together as a group. The cost of the trip is R5 904 and includes transport, accommodation, all breakfast and lunches, trail snacks, and an experienced mountain biking guide (who is able to do basic first aid and attend to basic mechanical issues). Guests are expected to bring their own mountain bikes but these can be arranged at an additional cost. Evening massages and bike washes can also be arranged at extra cost. This trip is limited to 10 cyclists, and it is therefore necessary to confirm your booking as soon as possible and to pay a 40% deposit to secure this. The balance is due 6 weeks before departure. A suggested kit list will be issued on confirmation of your booking. Please contact info@secretdestinations.co.za to make your booking or to find out further information.